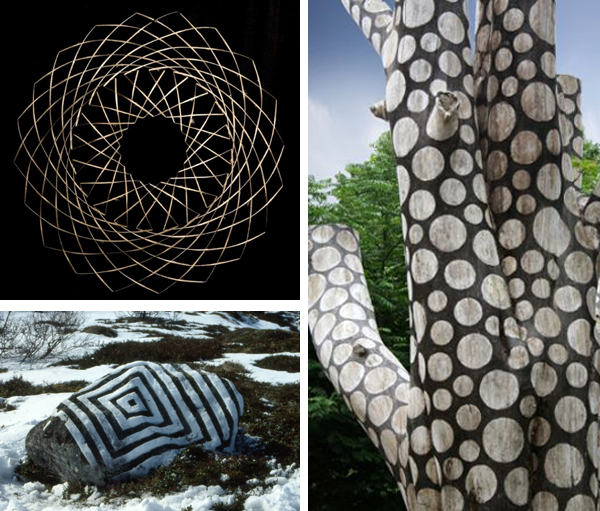 These works of art in nature from the environmental artist Stuart Frost are remarkable. Can you believe seagull feathers make up that first work? Also, I can't remember where I first came across this amazing video clip about nature below, but it pretty much knocked my socks off, maybe even made my eyes water a smidge. I am in constant awe at the mysteries and wonders of nature! This clip is stunning too! I hope you will have an extraordinary weekend, we hope to get out in nature and go on a long bike ride! The first one made with seagull feathers are beautiful and artistic. This is truly beautiful, I am completely smitten. What great pictures. That clip was incredible! I love the video ! Thanks for sharing. WOW the video is so beautiful! Thanks for sharing it with us! I could watch it all day!!! Would love to watch the night sky and just nature in all its splendor! those pictures of the patterns in nature are amazing! so artistic! great post!! Beautiful clip, thank you for sharing. You may have first seen it on Poppytalk, April 24th, (which is where I first saw it). Thanks! Forget not that the earth delights to feel your bare feet and the winds long to play with your hair.Wow!!! Totally right!! !